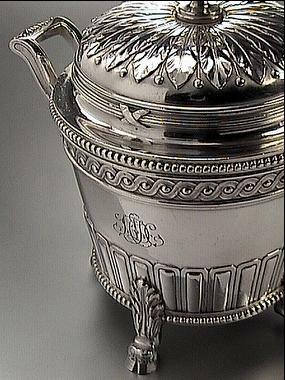 Faberge silver sugar bowl in Louis XVI style, St. Petersburg, circa 1904, workmaster Julius Rappoport. Height 5 3/4 in. 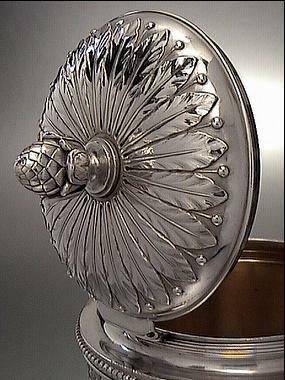 (14,5 cm). Width 5 7/8 in. (15 cm). 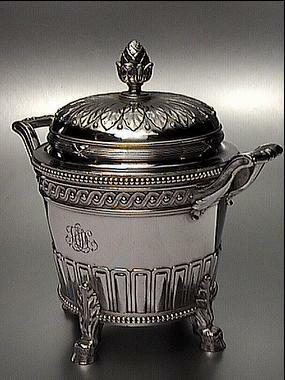 Weight 20 oz. 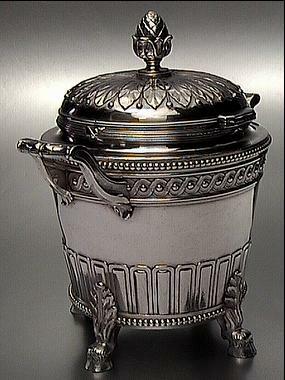 (568 g). 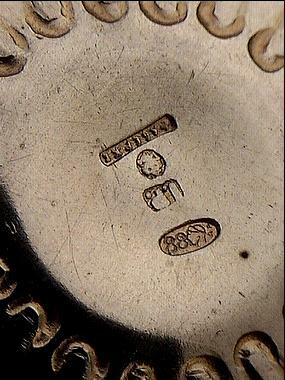 Condition: minor contact marks from use. 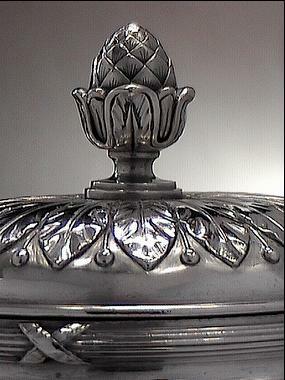 The lid is chased with laurel leaves. 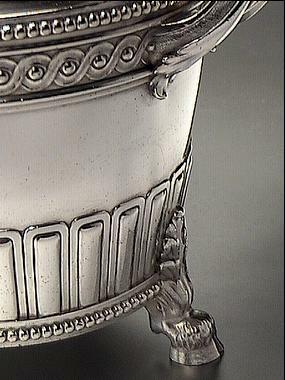 The bowl is raised on four goat’s hooves which are attached to the body with molded acanthus leaves. 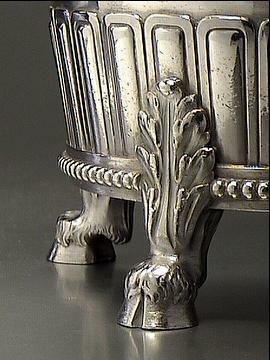 Numerous scratches under the base. 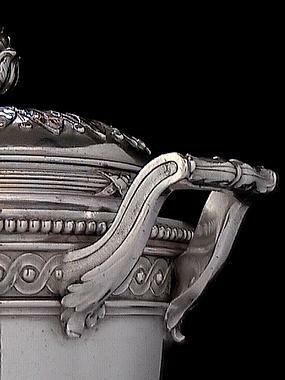 Marked: FABERGE in Cyrillic, Imperial eagle/warrant, workmaster’s initials ‘I.P.’, 88 silver standard with assayer’s initials of Iakov Liapunov. 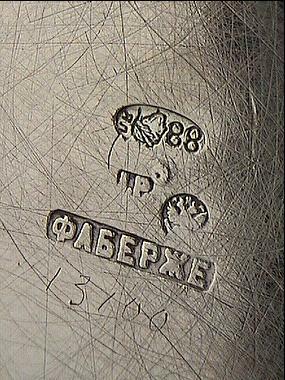 Scratched original Faberge’s inventory number 13100. 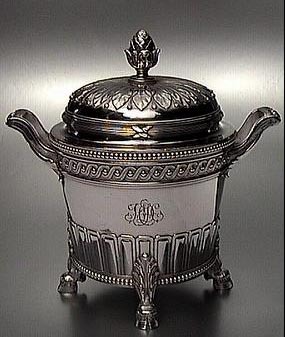 Marked on the lid with FABERGE in Cyrillic, Imperial warrant, workmaster’s initials ‘I.P.’ and 88 silver standard with assayer’s initials of Alexander Romanov (AP). 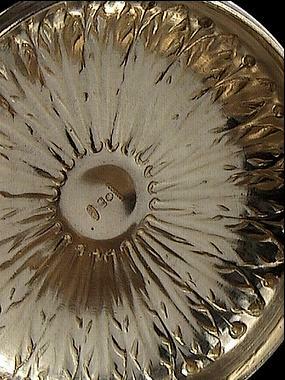 The lid and the bowl are marked by two different assay masters. 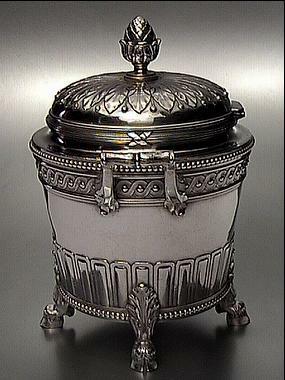 Assayer Alexander Romanov took the job as a head of St. Petersburg assay office on April 1, 1904 and replaced Iakov Liapunov, who was the chief assayer in St Petersburg since late 1898.